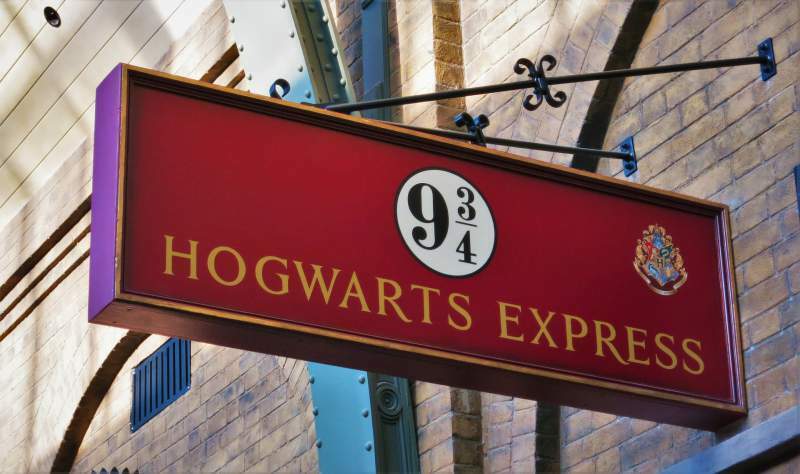 Have you ever wondered if it's possible to learn languages with Harry Potter? Today I’m delighted to feature a guest post that answers that question. When I first moved to Russia in 2012 I couldn’t speak the language. Though I had done a bit of prep work, – I spent the week before my flight learning to read Cyrillic with the help of an app on my phone – my vocabulary on landing in Moscow was limited to ‘Где’ (‘Gdye’) meaning ‘where’ and ‘спасибо’ (‘Spaseeba’) meaning ‘thank you’. I was determined to learn Russian, but I wasn’t sure about the best way to do it. There were dozens of apps, programmes and courses available to me, but I wanted to get straight into the language and not mess around with beginner phrases and prescribed scenes like ‘a day out at the beach’ or ‘ordering at a restaurant’. I felt that the best way to engage with Russian immediately would be to find a book that was familiar to me, that I could read, listen to, and even watch a film version of. And it had to be something that had a good Russian translation. It didn’t take long for me to choose. In fact, it seemed to me that there was only one choice. In my first week in Moscow, I went out and bought the Russian translation of Harry Potter and the Philosopher’s Stone. Why Harry Potter you ask? Russia has a rich history of literature, and most would agree that JK Rowling can’t quite stand up to the reputations of Gogol, Dostoevsky and Tolstoy. There is no shortage of translations of the classics, so why did I instead choose to read a relatively recent – albeit incredibly successful – piece of children’s literature? Harry Potter has been published in 68 languages worldwide, which means that no matter what language you’re learning, it’s pretty likely the series has been translated into it. What’s more, most of those languages have accompanying audiobooks, allowing you to read and listen simultaneously. This is crucial. Then, of course, there are eight films, all of which have dubbed and subtitled versions. Harry Potter is everywhere, and in that way, it’s like a bridge linking native English speakers to other world languages. When I moved to Russia I could have jumped straight into War and Peace. Why didn’t I? Well, I subscribe to the idea that language learning for adults is very much like language learning for children. Children learn grammatical ideas very quickly, but it takes years for them to develop their vocabulary. Likewise, the best way for an adult to learn a language is to really nail the basics of the grammar first, and then start to build up a good base of words. War and Peace is way too difficult for a beginner. Not only would I be learning a good deal of vocabulary that I would likely never use in conversation, I would also be reading Russian that was over a century old. Would you give a beginner English speaker Dickens to read? Of course not. I’m not saying that I couldn’t have learned Russian from reading Tolstoy, but it would have been far more difficult than choosing, say, a kids’ book. Which leads me to my second reason Harry Potter is so brilliant for language learners: it starts easy and gets harder. The first book, Harry Potter and the Philosopher’s Stone is very straightforward and is aimed at children who are about 10 or 11 years old, but unlike most children’s series, it doesn’t stay that way. By the time you get to the seventh and final book, Harry Potter and The Deathly Hallows, the thematic material is far darker, and the language itself is much more mature – this is a book for young adults, not children. The books were written for the readers to grow with them (as anyone who had to queue outside Waterstones to get their sparkling new copy knows) and so the gradual increase in complexity of language works very nicely for language learners who are gradually developing their skills. Now I’m not going to lie and claim that all the vocabulary I’ve learned from reading Harry Potter has been useful. The words ‘Оборотень’ (‘werewolf’) and ‘Гремучая ива’ (‘Whomping Willow’) have not cropped up regularly in my conversations with Russian friends and acquaintances. But all the same Harry Potter is an excellent resource because of the way that it combines colloquial, contemporary language – the casual banter between Harry, Ron and Hermione, for example – with a broad range of historical and abstract ideas that come with fantasy territory. The final reason Harry Potter is such a useful resource for language learning is that you probably know it already. Reading a book again in a foreign language is a great exercise because you know what’s going on in the plot, and so can infer the meaning of words and phrases. This is the exact same process that occurs when you watch a film or television in a foreign language, and it’s also what children do on a regular basis when interacting with one another and with the world around them. So now that we can see why Harry Potter is such a good way to learn a language, how are we going to go about it? The rest of this post is going to detail the method I used to a great deal of success in Russia, but bear in mind it can be used in almost any language. This method doesn’t require a huge amount of time investment but can lead to huge progress if you stick to it. It consists of around an hour to an hour and a half of reading, one day a week (you can do more if you want though), around fifteen minutes of vocabulary learning a day, and listening to an audiobook as you go to sleep at night. Yep, that’s it. Concise, effective, and given that you love Harry Potter (who doesn’t?) fun too! A copy of Harry Potter in the language you’re learning (I recommend starting with the first book but you don’t have to). Note that this can be a paper copy but I highly recommend having an ebook version. You can often find these for free on the internet but I’m not going to say where! A copy of the book in English. Again, a digital copy is preferred. The best way to get this is from the Pottermore website. Some method of listening to audiobooks at night. The iPhone has a very clever setting where you can set the timer to ‘Stop Playing’ – when the timer finishes, instead of playing an alarm the phone will simply stop whatever music or audiobook is coming out of the speakers. Hook this up to a Bluetooth speaker and you can listen to your foreign-language audiobook as you go to sleep. Once you’ve got all of that, you can get learning! This part of the process should last about an hour to an hour and a half, and you should do it once or twice a week. If possible, an online audiobook player with the Harry Potter audiobook on it. This is very easy to find in Russian, but for other languages, you might need to pay for it, download and then listen through iTunes or an alternative media player. Once those tabs are open, drag the browser window to the side of your screen, or minimise it slightly so it takes up about half of the screen space. The other half of the space is going to be occupied by the book itself in the language that you’re learning. If you have a physical copy of the book then you just need to have it open in front of the computer (obviously) but if you’re using the Kindle desktop app you can open that. Alternatively, if you’ve got a pdf of the book then have that open. Now that you’ve done all that your screen should be divided in two: on one side is the book, and on the other is your browser. Go to the browser, open the Quizlet tab and log into your account. If you haven’t used Quizlet before then you might need to take fifteen minutes to get acquainted with the app (you’ll quickly discover that it’s pretty much the best thing ever) before setting up your first set. You might want to call it something like ‘Harry Potter 1’. Open the book and start reading. Whenever you get to a word you don’t know, put it into Quizlet, using Google translate and the dictionary to get the meaning. Before you put it in, though, listen to the audiobook to hear the stress. When you write it into Quizlet, denote the stress with a capital letter. 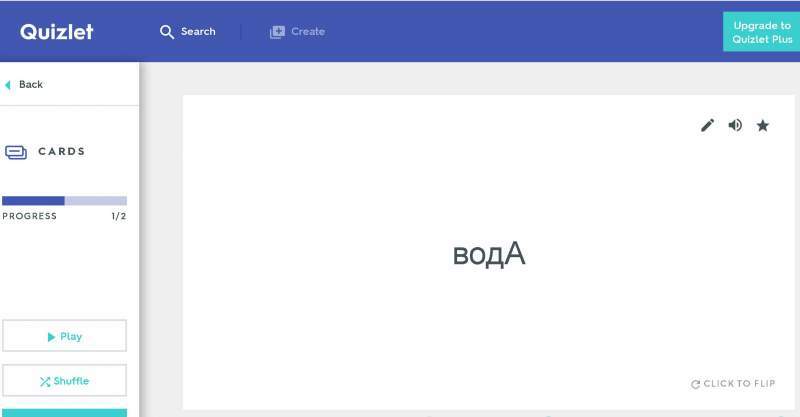 For example, in Russian, the word for ‘water’, ‘вода’, would be written into Quizlet as ‘водА’ to show the stress. Try to understand what you’re reading before translating anything. Do your best to infer from the text. Once you’ve read a few sentences, listen to the audiobook for those sentences a few times repeatedly to really get the pronunciation in your head. If you’ve got a paper copy, you might want to write the meanings of the words along the top of the text. If at any point you really cannot understand what is being discussed, simply compare the foreign-language version with the English version. Pay particular note to colloquial phrases and the way that they’ve been translated. This might be a radical departure from the English-language version, and will give you a good insight into how native speakers express themselves. Once you’ve got about 30 to 40 terms in your Quizlet set, stop writing them in, but don’t stop reading and translating. Keep going, but don’t put in any more words because you don’t want to overload yourself with vocabulary learning. (N.B. – you can, of course, put in as many words as you want, but I don’t recommend more than 40 per week to start with). This means that you’ll actually make progress in the book, because if you translate and type in every word that you find you’re going to be reading the book for a very long time! Once you’ve been reading for about an hour you can stop (if you want to). Now that you’ve done your reading for the day, your task for the week is to learn the vocabulary that you’ve written down. The first way to do this is to use Quizlet at least once a day, continuously revising the vocabulary. The second thing you’re going to do is listen to the audiobooks. Every night go to bed and listen to the same section of the book that you’ve read through. Yep, that means that if you’re starting at the beginning of the book, every night for a week you’re going to listen to those first few pages. The result of this is that by the end of the week comes you’ll almost know certain sections off by heart, and you’ll have absorbed completely the vocabulary that you’ve been learning on Quizlet. You don’t have to be falling asleep when you listen to the audiobook at night. You can have the book open and read while listening. 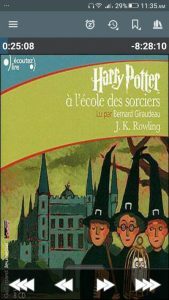 At the end of the week watch fifteen minutes of the film version of whichever HP book you’re reading in the language that you’re learning. This way you can draw the film out over the course of reading the book. One day a week write out the list of vocab you have on Quizlet by hand in a special notebook. In some languages (like Russian) this is very important because handwriting utilises different characters to digital text. 2) you can always make locals (and love interests) laugh by quoting weird bits of Harry Potter at them. If you read all of the Harry Potter books in this way you will be fluent by the time that you finish. So there you have it: a basic method for using Harry Potter to learn a language. I found this to be an excellent way to learn Russian when I lived there. 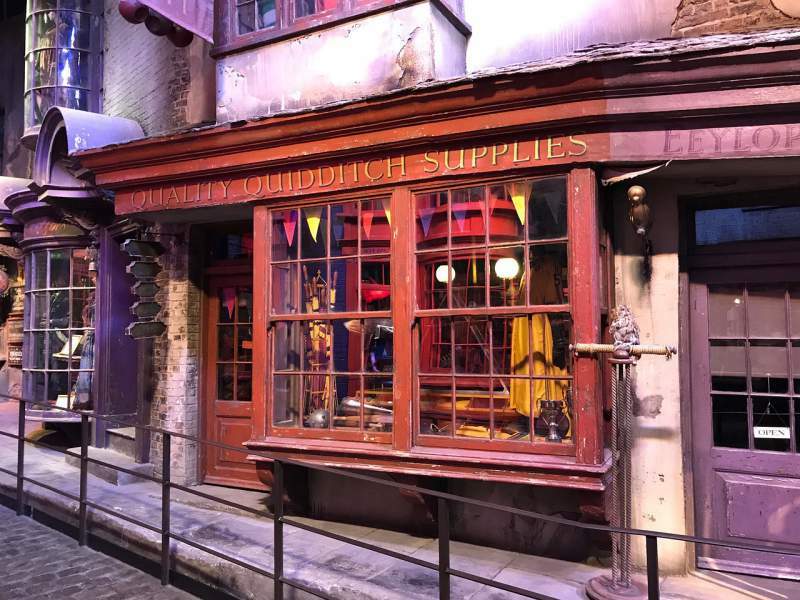 Even if you don’t follow the method exactly, I hope that this post has given you an idea of how you can use Harry Potter to your advantage when learning a language. I doubt that JK Rowling realised when writing the first Harry Potter book that she was inventing one of the most useful resources available to language learners, but that is exactly what the series is. 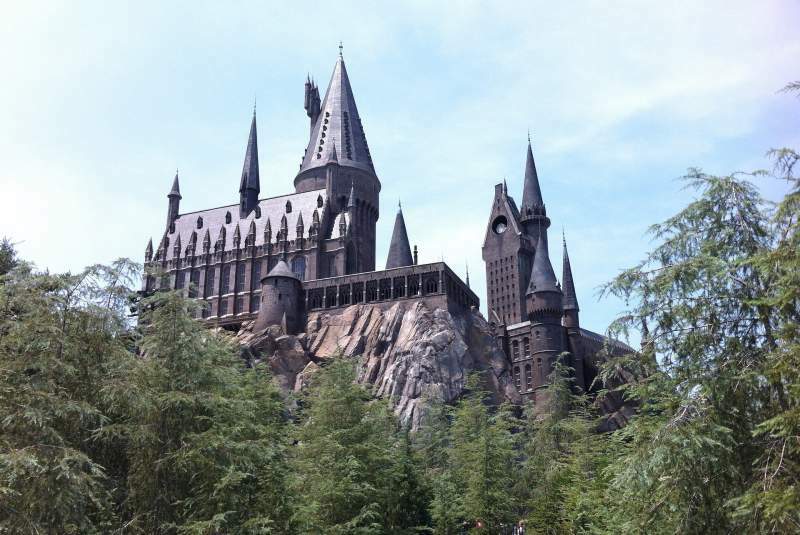 In combination with a few web tools, any language student can hugely benefit from learning with Harry Potter. I've become fluent in my languages through reading and story. And I want to share this powerful, immersive way of learning with you too. Grammar Hero is a set of 15 stories that let you acquire the grammar of your target language naturally, through “controlled immersion”, meaning immersion at your level. The programme is aimed at low intermediate and intermediate learners (A2-B1 on the CEFR). 6 languages are currently available: Spanish, French, German, Italian, Russian and Brazilian Portuguese. The result is a programme that condenses potentially years of frustrating, traditional study into a “fast-track” experience that will transform your grammar in the next 90 days. Check out the programme by clicking here. Raphael Hetherington is an educational consultant at UK Study Centre in Highgate, London. 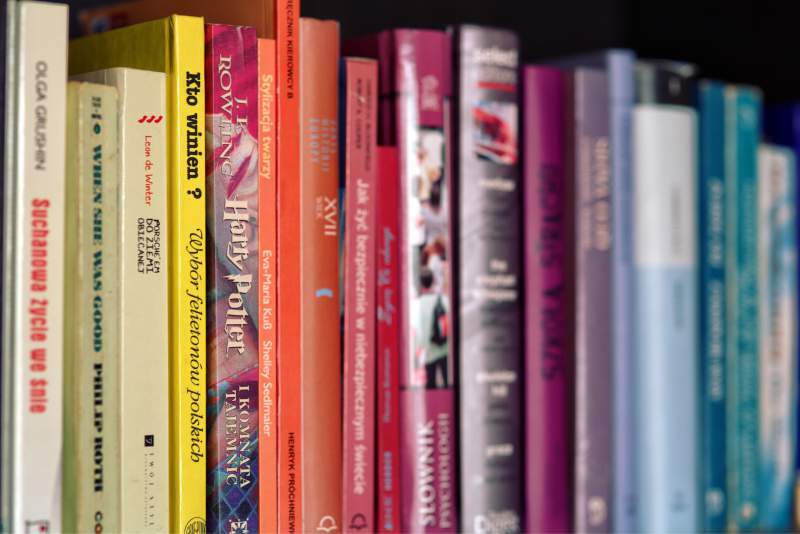 Have you ever used a book or series of books to learn a language? What books did you use and how did they help you? Let me know in the comments below!